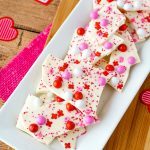 Valentine’s Day Bark – A simple treat idea for Valentine’s Day. 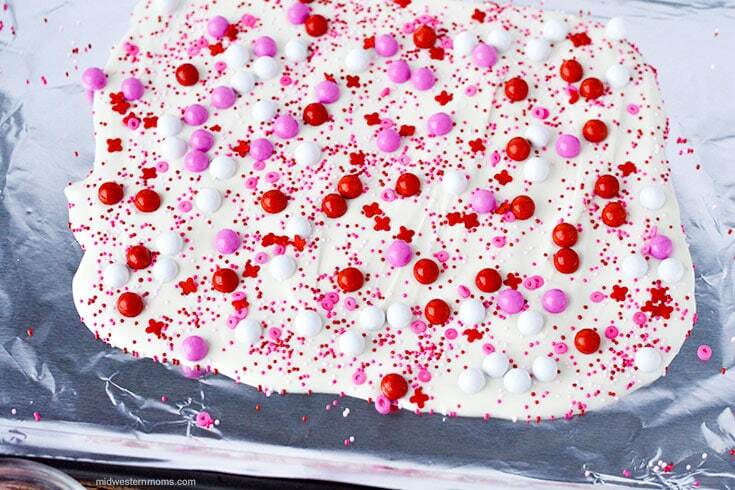 Honestly, you can not get any easier than this Valentine’s Day Bark. In a few steps, you have something that looks and tastes great! 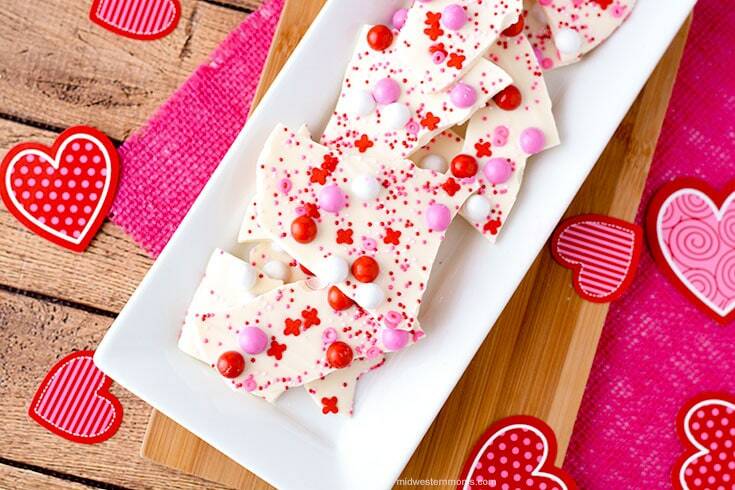 This printable Valentine’s Day Treat Bag would be perfect for giving out pieces of the bark! See printable recipe card at the bottom of the post for more detailed instructions. First, line a baking sheet with foil and set aside. 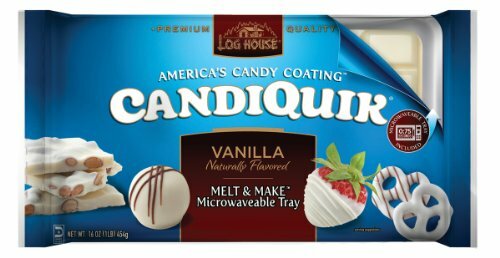 Then, melt down the Candiquik. Pour the melted Candiquick into the foil-lined baking sheet. Then sprinkle the Sixlets over the Candiquick. Add your Valentine Sprinkles last. I used 2 different types to give it a unique look. Once everything is added, place the baking sheet in the refrigerator for 30 minutes. After 30 minutes, take the baking sheet out and gently tap it on the counter to break up the bark to serve. Simple Valentine’s Day Treat Recipe. 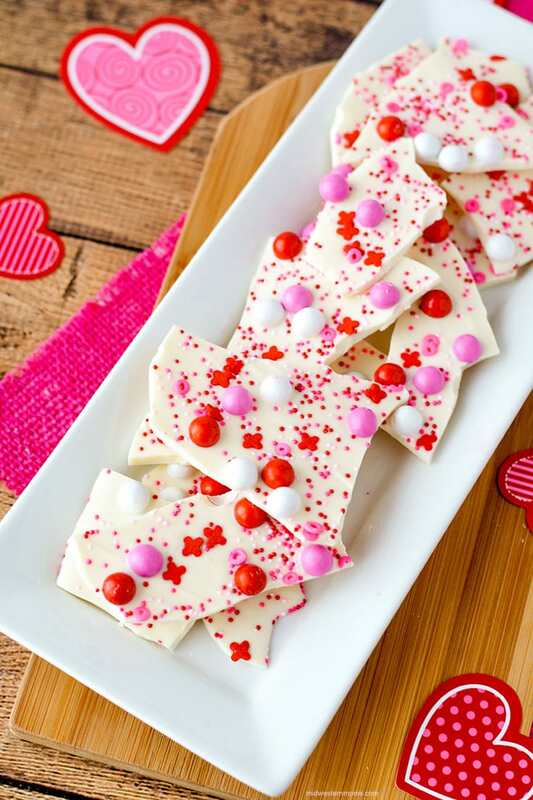 In a small saucepan and on low heat, melt the white candy bark, stirring constantly until completely melted. Remove from pan and pour onto prepared baking sheet. 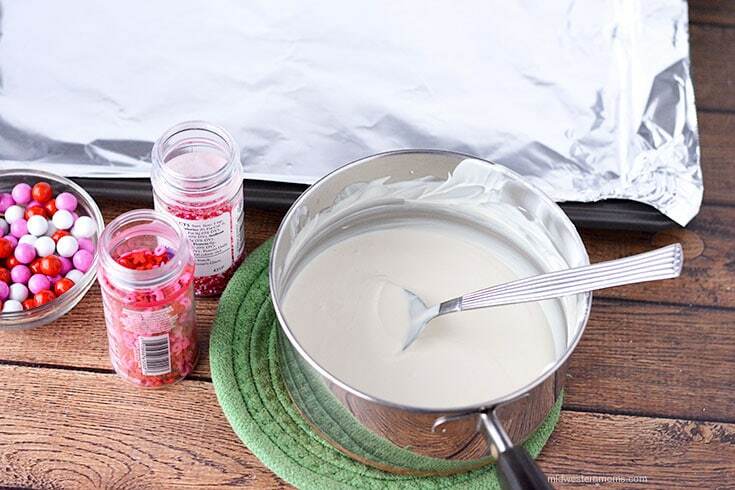 Spread the melted candy into a 9×12 size rectangle. 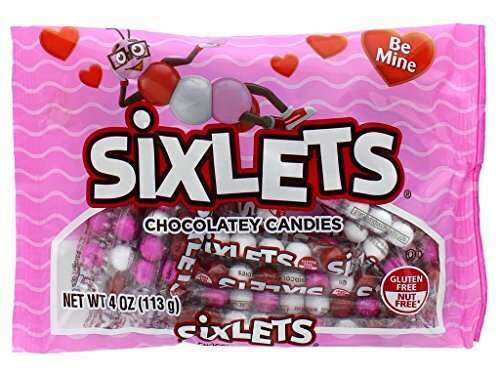 Sprinkle sixlets candies and valentine sprinkles onto the candy. Place into the refrigerator for about 30 minutes or until set and hard. Gently “drop” the baking pan onto a counter top to crack and break the bark. Remove from the foil and place onto a serving tray. You can also follow the microwave directions on the candy package to heat the candy.